Nordstrom faced the classic problem nearly every business grapples with: important processes grew up around sharing dozens of Excel documents. Their creative workflow for selecting catalog images became unwieldy, required double-entry, posed difficult version control challenges, consumed time, took a lot of labor, and was error prone. Worst of all, the process dictated a lead time of 2-3 months to get catalogs prepared. Tek-Connect built a flexible SaaS web application to bring all that data into one system, complete with permissions, archiving mechanisms, better performance, notifications and control. The solution is built to evolve with the needs of the team: Tek-Connect folds in new features on a regular basis. 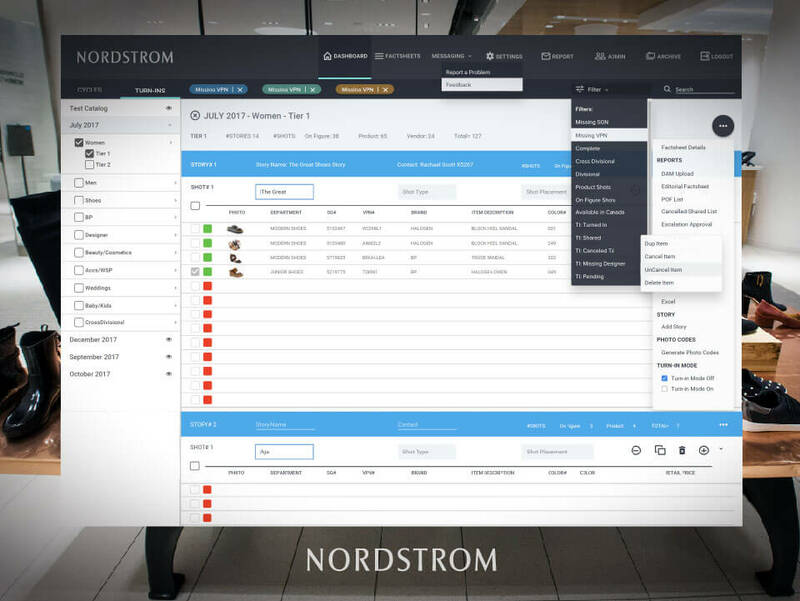 Once deployed, the solution slashed the amount of time and headaches Nordstrom faced in their catalog preparation. They were able to reduce the labor involved dramatically, cut errors to nearly zero, and enabled the multi-departmental process to tie catalog launches to more immediate events, sales, and so on. The retailer faces stiff competition from Amazon and the online world. Operational efficiency is vital to the company’s success, and the lightweight solution from Tek-Connect has helped drive mission-critical improvements. Marketing Technology Operations, Nordstrom, Inc.